The Pittsburg Police Department is partnering with local residences and businesses for a new theft prevention initiative. 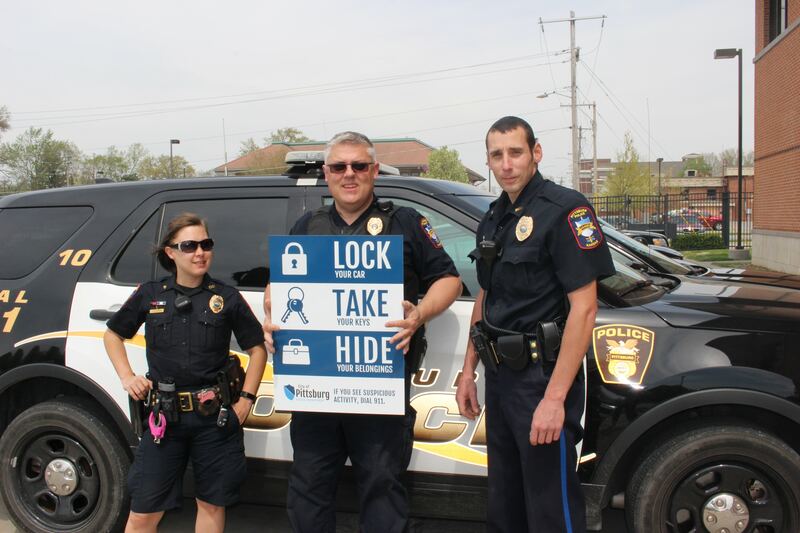 In the coming weeks, you may see signs around town with simple notes and reminders to lock your cars, take your keys, and hide your belongings. The goal of this initiative is to make the community more aware of how our everyday actions can assist in preventing property crime. As the Pittsburg Police Department continues to partner with the community, we ask that members join us in practicing these preventative measures. If you or someone you know witness suspicious activity in your neighborhood, dial 911 immediately. Reporting incidents of crime in a timely manner allows police to take action as soon as possible.